A nature walk in Semuliki National Park offers the chance to explore the forest and see endemic birds and wildlife. 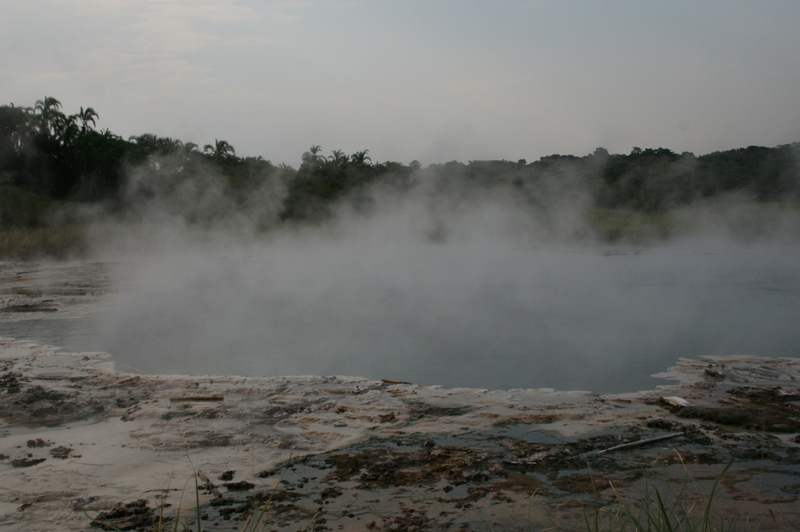 It is also where you will find the beautiful and culturally fascinating Sempaya hot springs. You can enjoy a delightful and informative walk, which takes about 4 hours, and learn about the rich cultural history of the indigenous Bamaga clan, who hold the site sacred. According to Bamaga folklore, local women spotted an unknown man with a spear and a dog in the forest. The men of the village brought the man home and he then married one of the women. But one day he failed to return from hunting. All that was found his spear, next to what is now known as the ‘male’ hot spring. When his wife discovered he had disappeared, she rushed to the site. 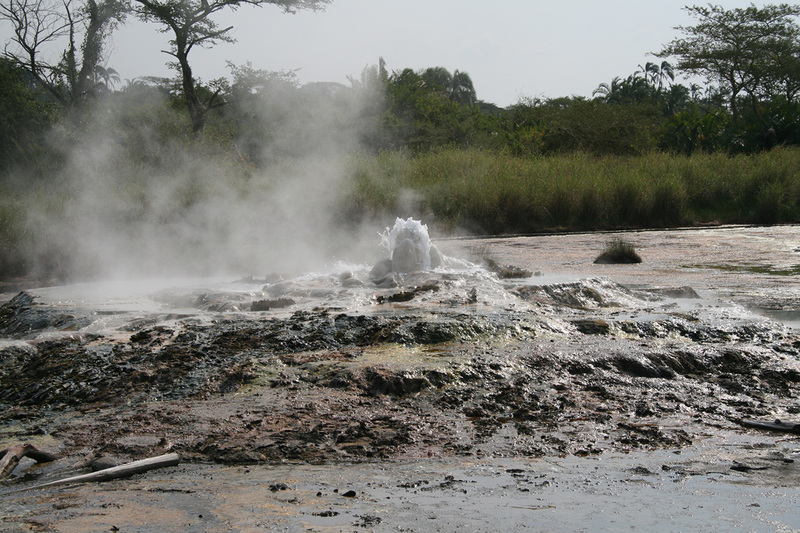 She also disappeared, next to what subsequently became known as the ‘female’ hot spring. 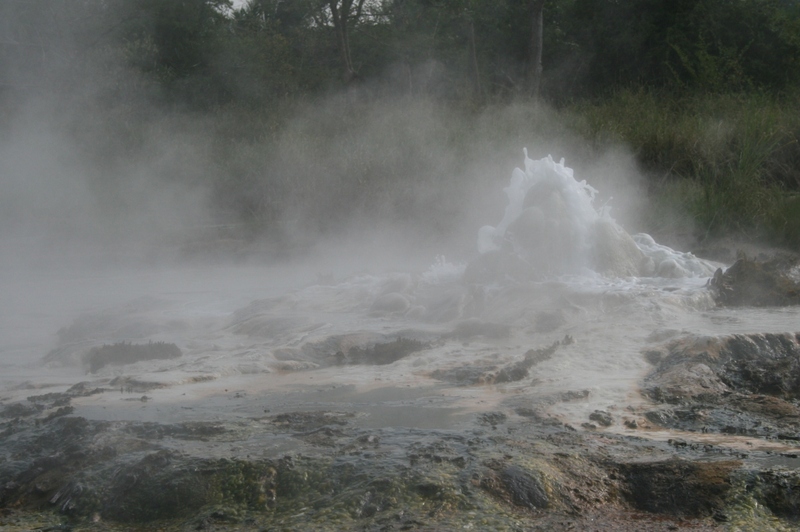 The Bamaga believe their male and female ancestors dwell beneath each of the hot springs. They perform traditional rituals at the site every year to appease and honour them.